Marvel vs. Capcom: Infinite releases tomorrow and has a sizable collector’s edition. The package includes a number of goodies, including statues and replicas, but some fans are rethinking the $200 price point after seeing early images of its questionable Infinity Stones. In addition to a copy of the game, Marvel vs. Capcom: Infinite’s Collector Edition includes four large statues of playable characters Mega Man X, Chun-Li, Captain Marvel, and Iron Man, as well as a case holding replicas of the Marvel Universe’s six Infinity Stones. 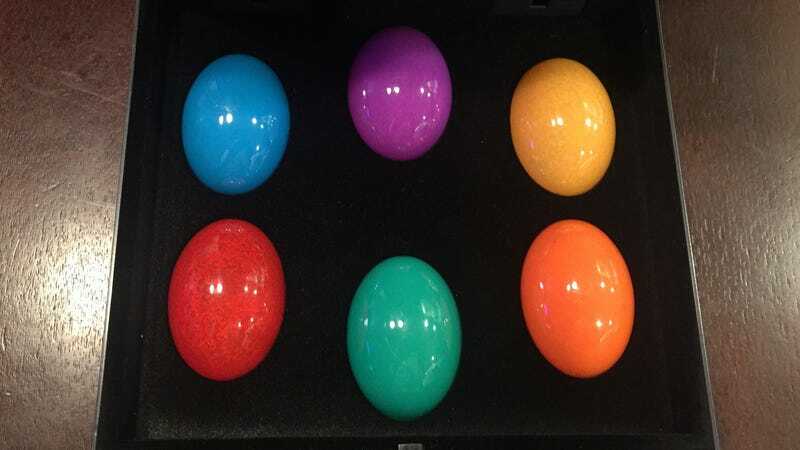 While the preview images showed props that more closely matched the brilliant, distinctive gems from Marvel’s comic and film properties, what arrived on everyone’s doorsteps looked more like Easter eggs. The issue was first brought to light in by frequent tournament player Dawn “Yohosie” Hosie, who shared a humorous tweet comparing pre-release photos of the Infinity Stones with the actual products crafted by Project Triforce for the bundle. The differences are stark when placed side-by-side; the left image is from Capcom’s own marketing while the right was pulled from a review video that’s since been removed by the owner. The fighting game community’s reaction to this news was swift, and ranged from simple amusement to outright frustration. Some publicly pondered their decision to preorder the pricey collector’s edition, while many more joked about how crappy the Infinity Stones looked compared to Capcom’s previous claims. I recently received one of these expensive bundles, and it’s hard to argue with the criticisms. The statues Capcom included with the game seem decent, but the stones and the case they arrive in are cheap and look nothing like Capcom’s preview, even when backlit by the built-in LED lighting. The stones can’t be removed from the case. We’ve reached out to Capcom for comment, but have yet to hear back. The promotional materials did say the package’s “contents may vary in select regions.” Maybe there’s a lucky someone out there in possession of Infinity Stones that more closely match Capcom’s $200 vision.